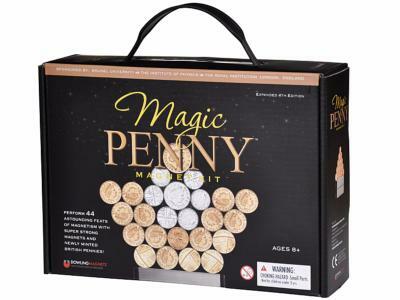 Sponsored by Brunel University, The Institute of Physics and The Royal Institution in London, this is the expanded 4th Edition of the Magic Penny Magnet Kit. The smart presentation box contains 2 super strong magnets encased in stainless steel, 32 newly minted British coins plus a bonus U.S. one cent coin, and an activity booklet packed with 44 investigations, plus further magnet facts. 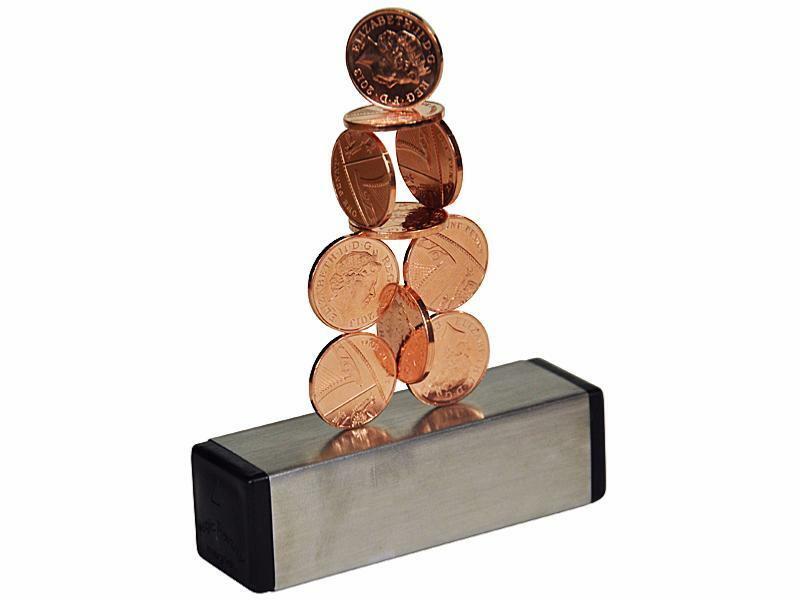 Balance 4 coins on the edge of a glass, spin pennies at 1,000 revolutions per minute, build gravity-defying sculptures and levitating pyramids, magically move pennies up ramps, over bridges and along tightropes!With Magic Penny Magnets and some everyday objects, you can perform feats that even top scientists and engineers have found amazing - things that before the change of UK pennies from copper to steel in 1992, none of them had seen before!Suggested Age 8+. Adult supervision is recommended. Excellent product. My 4 year old grandson loves it and plays with it a lot. Not too strong but strong enough to do amazing things. Really good fun and easy to accomplish. This is a very interesting 'toy'. I shall be donating it to the BIG Little Science Centre so that they can use it as part of their magnetism show. Have Not received any of my paid for order yet.